IS IT NOON YET? les bon temps roule! Summer is going by way too fast. I hate to say it but music is kinda impeding my progress on the Safari. I am making money doing something I love, though, so don't feel bad for me! Plywood will be purchased next week so the new subfloor can be cut, work on frame can begin and most of you know what else from there. Blues Safari is Back! Steve: Looking forward to seeing your new found progress. 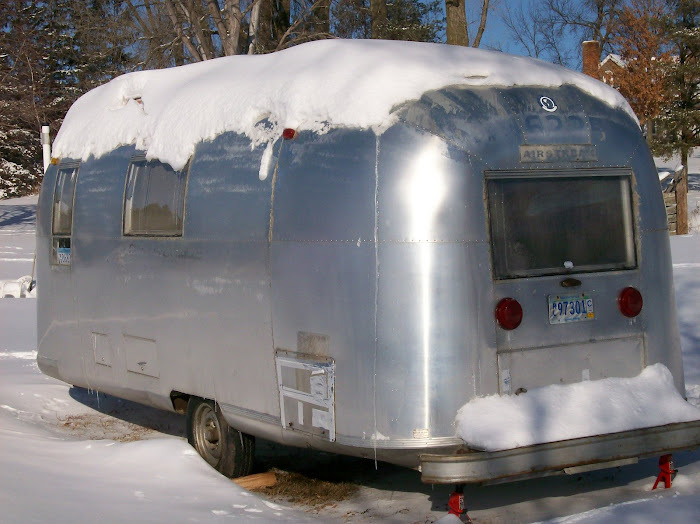 Vintage Airstream Rally - Whale Tail - Love the Whale Tail Airstreams! Kitchenette progress - Still in process…. A '64 Airstream Safari named Maysville "May"
- Check out my pics here from the recent Vintage Trailer Jam in Saratoga Springs, NY.